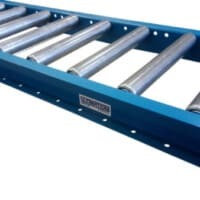 RS19 Gravity Roller Conveyor is a versatile, medium duty product for simple conveyor solutions. 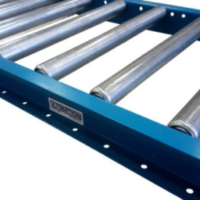 Rollers are 1.9″ diameter, 16 gage galvanized steel. 12 widths are available. 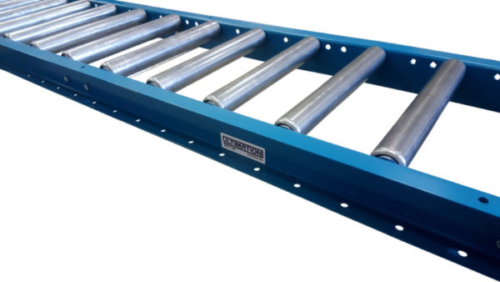 Lengths of 5′ or 10′ and roller spacing of 2-1/4″, 3″, 4-1/2″ or 6″.